Insanity and Women in New Jersey ~ The History Girl! Many people considered “ill” in the head and depressed were simply locked away in attics or basements by their families or warehoused in almshouses to waste away and die. Although founded with good intentions (before the rise of hospitals) almshouses were often places of horror where little or no care was provided to the indigent. New Jersey Lunatic Asylum, Trenton, circa 1860. Dix advocated the building of hospitals for the insane where “compassionate care,” a treatment of kindness, patience, recreations and conversation - concepts first employed by the Quakers In England - would be practiced. She founded 32 hospitals dedicated to the indigent mentally ill including in 1848 the New Jersey State Lunatic Asylum (later known as the New Jersey State Hospital at Trenton and currently called the Trenton Psychiatric Hospital), the first public mental institution of its kind in the state. While the treatment of the mentally ill was improving, the diagnosis of mental illness was far from accurate. People suffering from neurological impairments, mothers with post-partum depression, widows and Civil War veterans with post-traumatic stress; “disobedient” or “recalcitrant” wives who husbands wished to be rid of, and many others, were often mistakenly or conveniently classified as “insane.” There were, of course, those who legitimately were suffering from acute mental disorders. In my book Northern Women in the Aftermath of the Civil War I record my great-great grandmother Mary Ann Hamilton’s struggles with her daughter Susan. Susan suffered from epilepsy, a neurological disorder characterized by epileptic seizures, and later depression. Unfortunately 19th century medical science categorized epilepsy as a type of insanity. 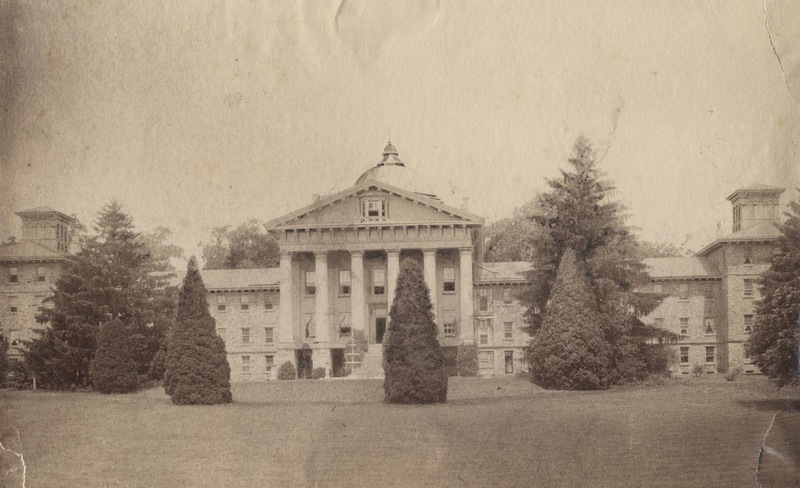 Unable to care for her daughter and concerned about her deepening depression, Mary Ann accompanied her to Dix’s state-of-the-art facility in Mercer County where she was admitted in 1870. Susan’s medical records are cursory at best with notations made every three months. Without anti-seizure medications which were not yet discovered, Susan regressed to a state of “quite demented.” After three years she left the hospital but apparently returned in 1876 since the records show a Susan Hamilton being admitted (no hospital records exist for that period of time so her progress is unknown). There is no death record for Susan at the hospital (a cemetery exists on the grounds for those patients who died while at the hospital), but it is possible that she became a resident of the New Jersey State Village for Epileptics in Skillman which was initiated in 1898 and culled those suffering from epilepsy from hospitals and almshouses to populate the village. The village, a self-sustaining community, was considered at the time to be a model of progressive treatment. The New Jersey State Hospital was a recurring home to several more relatives, often with unhappy results. My uncle through marriage, Walter Asay of Long Branch, entered a deep depression when his wife, my great aunt Alice Hamilton Boudinot Asay, died at 40 leaving five children, the youngest of whom was three. Diagnosed with lypemania, an affliction characterized by deep sadness and melancholy, he was admitted to the hospital and two weeks later died. Today we suspect that he suffered from a major depressive disorder. Lastly, my grandmother, Edna Hamilton of Long Branch became a widow at 40 with two small children. Burdened with bills, a home, two mortgages and no marketable skills other than sewing, life became hard and she suffered a breakdown in 1922. Unfortunately, she was admitted to the New Jersey State Hospital during the notorious Dr. Henry Cotton’s tenure as medical director. Cotton believed that mental illness was the result of untreated infections in the body and practiced “surgical bacteriology” on patients, including the routine removal of teeth, tonsils, spleens, colons, ovaries and other organs. He performed an “intestinal” operation on my grandmother and before the advancements in antibiotics, she, like many others at the hospital, died from a post-operative infection. Cotton and his staff performed his “surgeries” until his retirement in 1930 and the hospital,unfortunately, continued to follow his treatment guidelines performing less risky procedures until the late 1950’s. It took 100 years after Dix’s founding of the Trenton hospital for another woman to spark reforms to the mental health field. American author Mary Jane Ward’s semi-autobiographical book, The Snake Pit published in 1946, detailed a woman’s recovery from mental illness. At that time abuses were still prevalent throughout the psychiatric care system. The book, along with advocacy by former first lady Eleanor Roosevelt and the Quakers’ reform movement in Philadelphia, is credited with sparking public debate and reforms nationwide on the conditions of psychiatric hospitals. Three million husbands, fathers, sons, uncles and brothers marched to war between 1861 and 1865. Of that number, nearly 750,000 never returned home. For Mary Ann Hamilton of New Jersey the conflict separated her from her husband and three sons. Her beloved youngest ultimately perished in battle and her war-wounded husband lingered in pain at home before finally dying. Rendered economically helpless, a woman like Mary Ann with young children—including a daughter considered “insane” at the time—eked out a living as best she could. 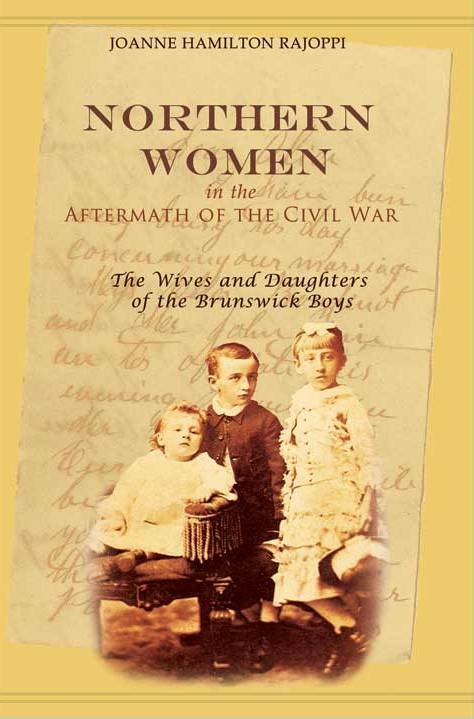 Northern Women tells the story of the perseverance and stamina of women facing an altered world, many of whom were confronted by widowhood, burdened with returning soldiers addicted to alcoholism or drugs, or strained by the care of men suffering from post-traumatic stress. The story of the Hamilton family relates the legacy as well as the dreams and hopes that these women left their children in the context of a rapidly evolving America—the new Federal pension system, the westward migration, industrialization and the start of the modern business culture—all of which opened new careers for women leading to their eventual emancipation at the start of the twentieth century. Joanne Hamilton Rajoppi, a former journalist, is a history aficionado. She chronicled the military service of her great-grandfather during the Civil War in her book New Brunswick and the Civil War: The Brunswick Boys in the Great Rebellion based on the letters he wrote to his family. She followed the story with the Hamilton women after the war writing Northern Women in the Aftermath of the Civil War: The Wives and Daughters of the Brunswick Boys. A contributor of Meet Your Revolutionary Neighbors: Crossroads of the American Revolution, she also has authored several pamphlets and calendars detailing the history of New Jersey. She is a trustee and officer of the Union County Historical Society and serves as the Union County Clerk. She is a former mayor of her hometown and an advocate for women running for office. She wrote Women In Office: Getting There and Staying There as a guide to assist women who aspire to public office.